Flowers that can bring you dancing with the stars. 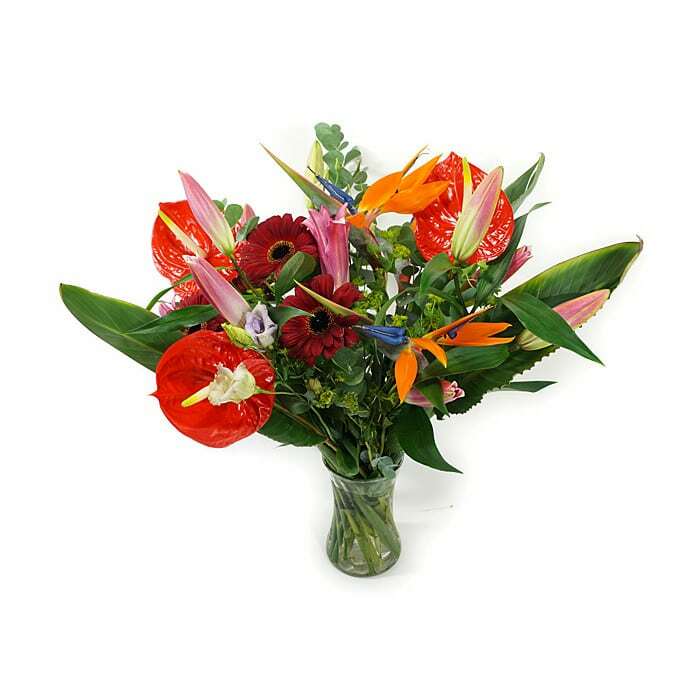 Tropical colours evoking Tango and Rumba. A bouquet to brighten the winter. 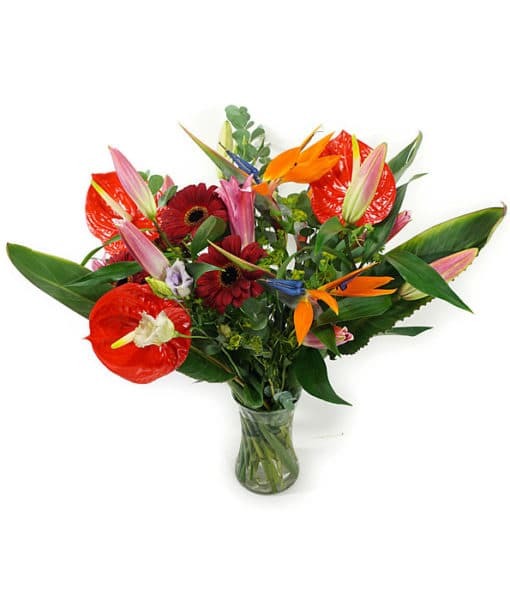 Bouquet consisting of exotic flowers Strelitzia, Gerberas, scented Lilies and Anthuriums.